More than 100 students gathered to share the importance of non-communicable diseases prevention at the Girmit Centre in Lautoka on Thursday. The Acting Commissioner Western Luke Moroivalu, who was the chief guest at the event, reminded students on the importance of healthy living. “Non-communicable diseases has been a challenging issue that continues to be a global threat yearly. “Health departments around the world enthusiastically carry out their duties to safeguard the health of the people and at the same time promote healthy living,” he said. Mr Moroivalu said Fiji was lucky to have diseases not as extreme as the Ebola virus. “We are fortunate that we only have diseases such as typhoid, leptospirosis and dengue fever which are not as extreme as Ebola. “But these are still diseases that we need to look out for, therefore the Ministry of Health is having consultations with other ministries and NGOs on these issues and is looking at ways to best address them,” he said. 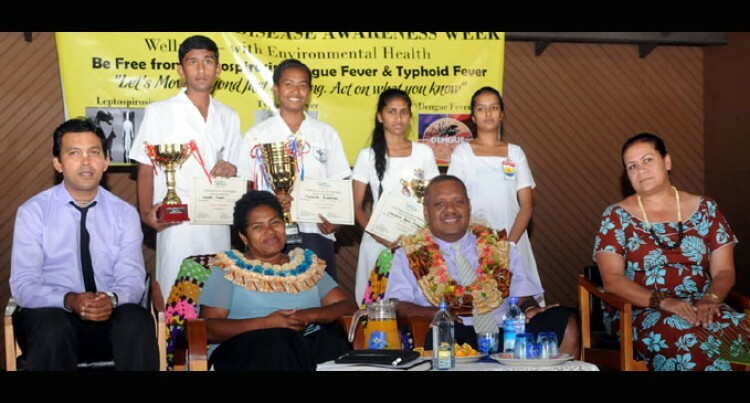 Mr Moroivalu encouraged students to share their knowledge and ideas on ways to prevent such diseases. Schools from Tilak High School, Lautoka Central College, Saint Thomas High School and Natabua High School attended the event. Activities provided for the students included an oratory contest and poster competition on the theme ‘Act on What You Know on Communicable Diseases’, in which winners were awarded with trophies and certificates.